Understand why your top performers leave and drive actions across the organisation to reduce unwanted attrition. With real-time exit insights, you have the data you need to retain top talent and build a happier, more engaged workforce. 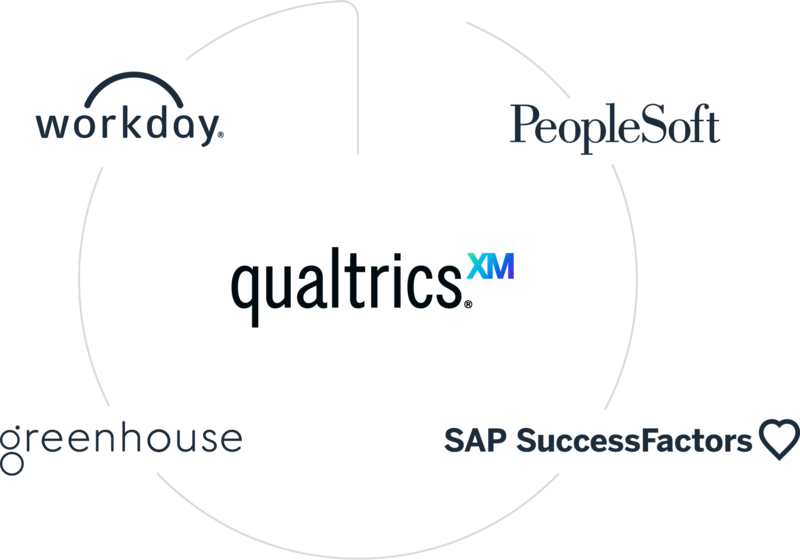 Get up and running quickly with a best-in-class employe exit program built directly into the Qualtrics XM platform. Want to customise it? No worries - with the intuitive survey and dashboard builder you can make changes in seconds, with no coding or IT support needed. See all your data in real time with insights that are automatically shared with the people who can make the biggest difference. Now, when a problem arises, you can act quickly to improve the experience and retain your best people. 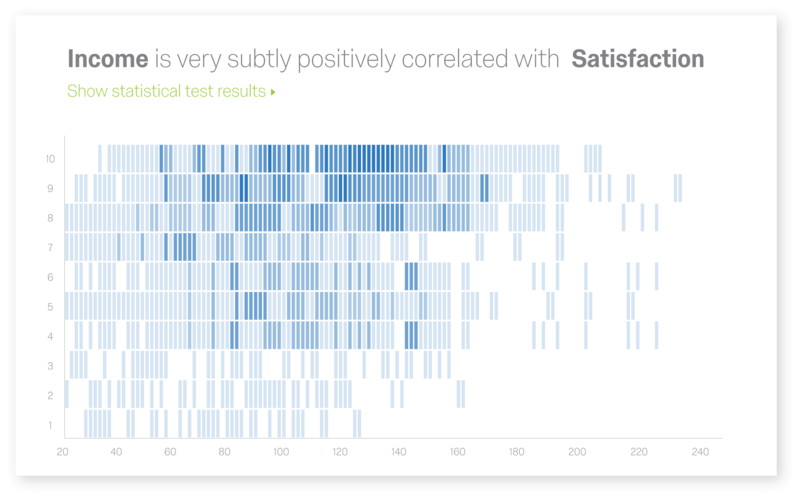 See everything you need to do to impact your churn rate with powerful, automated statistical analysis that finds the gaps for you. 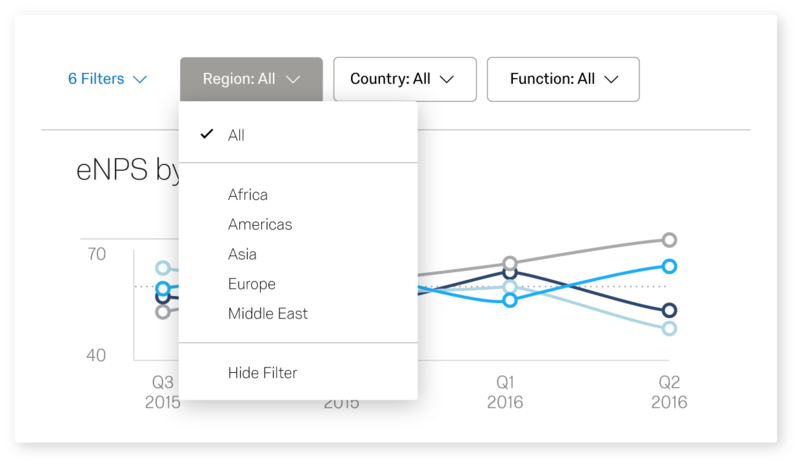 Plus, with built-in action planning tools, you can ensure your improvements continue to drive impact. Automate your exit feedback with integrations into your HRIS systems such as Workday, Peoplesoft, SAP SuccessFactors, Greenhouse and others. Just set your conditions or employee milestones and employees will automatically receive a request for feedback at the time that’s right for them. It means you can capture open, honest feedback with no additional resources, so your team can focus on turning exit feedback into improvements. Find insights hidden deep within employee feedback to get to the heart of the problem and to make sure you’re focussing on the right things. 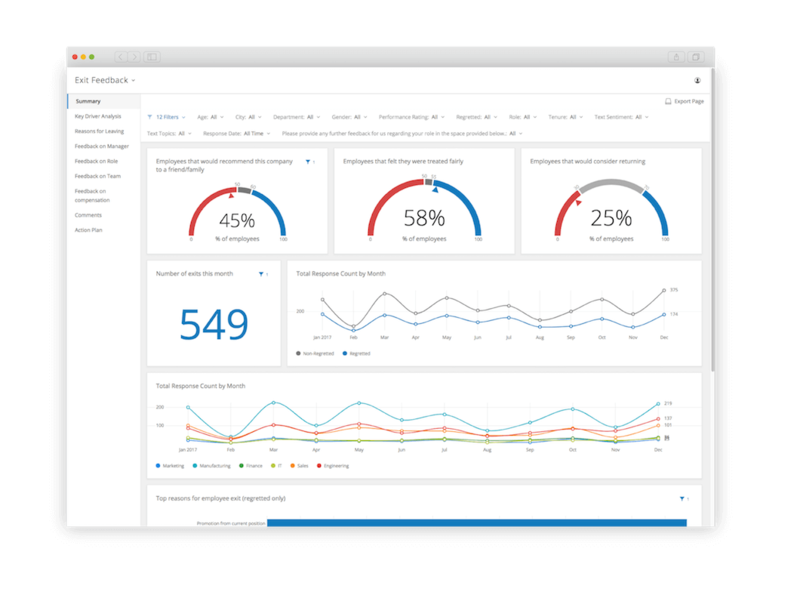 With Qualtrics iQ, you have the power of predictive analytics and machine learning at your beck and call. Make connections between feedback at different stages in the employee lifecycle and understand which levers to pull, and when, so you can have the biggest impact on reducing attrition. With all your employee feedback on a single platform you can understand the impact of every interaction on the employee experience as a whole and how those actions impact your most important metrics. It means you’ll know the exact moment to step in to improve your attrition rate and make sure your best people stay longer. What are Employee Exit Interview Surveys? Employee exit and alumni feedback programs empower HR leaders to understand the key drivers of attrition and identify the areas to focus on to keep their best people. Exit interview software allows you to move away from face-to-face interviews towards a more data-driven approach, collecting all your exit data and feedback on a single platform to be analysed. As part of the Qualtrics Employee Experience Platform, our employee exit solutions offer enterprise-grade, real-time, and actionable employee insights with intelligent text and statistical analytics. It means you can listen to employees across the lifecycle, compare your organisation to employee exit benchmarks and identify the right actions to build a loyal, engaged and productive workforce.